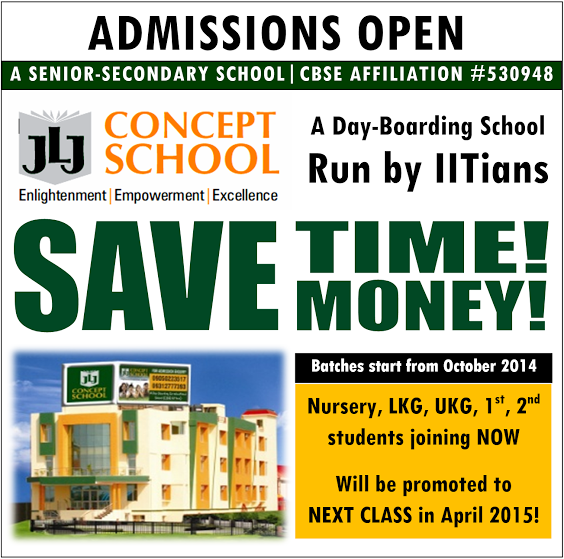 JLJ Concept School launches a special scheme for kids born in the middle of the session. Fast track batches start from October 2014 for Nursery, LKG, UKG, 1st & 2nd. Kids joining these batches will be promoted to the next class in April 2015. Put your kid in an age appropriate class. Kick-start the learning of your child without waiting for another 6 months.